Responsible AI, ethics and human well-being will be highlighted as the €20 million AI4EU project sets off. Umeå University and Örebro University are 2 of the 79 partners. 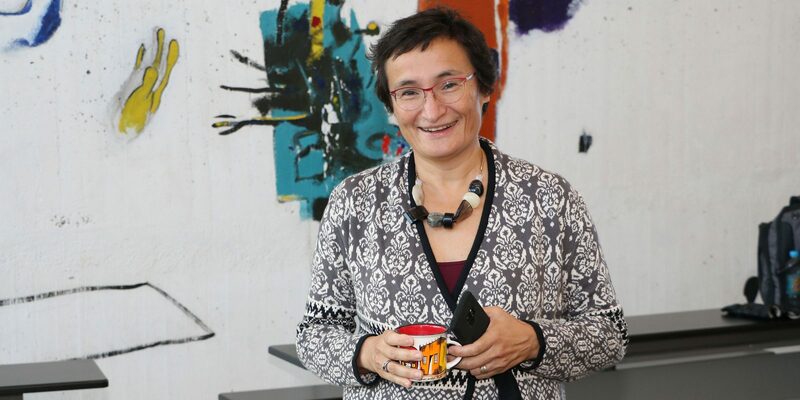 Image above: Professor Virginia Dignum, Umeå University, is one of the drivers for Responsible AI in the AI4EU project. Photo: Mikael Hansson. A meeting has been held in Barcelona as a starting point of the AI4EU project, which is financed to the tune of €20 million by the European Commission and in which 79 partners from 21 countries participate, among them 60 leading research centres. The project will be a key component of Europe’s AI strategy. “From Umeå University, we will be leading the task of developing methodology and tools to integrate ethical and societal concerns into the design of AI systems, and the tools to evaluate and verify that ethical principles are uphold by AI systems,” Professor Virginia Dignum says. “AI4EU is very much in line with Umeå University’s ambitions on Responsible AI and meet the vision of the European Commission of ‘AI made in Europe’ to be human-centred and contributing to societal and human well-being. With this project, we will move from nice words about the importance of ethics, to very concrete computational tools to guarantee ethics by design. It is a great step towards these ambitions,” Virginia Dignum says. The now started project will create the ‘Ethics Observatory AI4EU’, which will provide support by developing methods and tools for the human ethical and legal values. AI4EU is an acronym for “Artificial Intelligence for the European Union”. Eight industry-driven AI pilots will demonstrate the value of the AI-on-demand platform as a technological innovation tool. The pilots and research will showcase how AI4EU can stimulate scientific discovery and technological innovation. The AI4EU Ethics Observatory will be established to ensure the respect of human centred AI values. Sustainability will be ensured via the creation of the AI4EU Foundation. The results will feed a new and comprehensive Strategic Research Innovation Agenda for Europe.